Leaders of Conference of Presidents say UNESCO’s latest anti-Israel resolution undermines peace efforts. Leaders of the Conference of Presidents of Major American Jewish Organizations on Wednesday condemned the latest decision by UNESCO’s Executive Board which denies Israel’s sovereignty over its capital, Jerusalem. The resolution, which passed Tuesday, declares that "all legislative and administrative measures and actions taken by Israel, the occupying Power, which have altered or purport to alter the character and status of the Holy City of Jerusalem, and in particular the “basic law” on Jerusalem, are null and void and must be rescinded forthwith." 22 countries voted in favor of the resolution, compared to 10 which voted against it. 23 countries abstained. 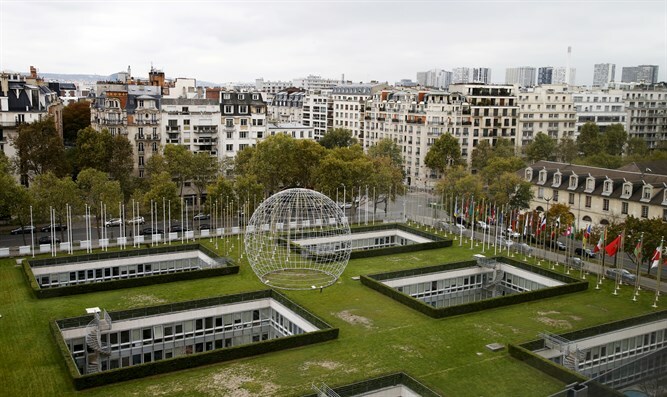 “By continuing to pander to the political demands of the Palestinians, the Executive Board of UNESCO has brought this important UN body to new depths,” they added. “We applaud the United States, Germany, Greece, Italy, Lithuania, Paraguay, Netherlands, Togo, Ukraine and the United Kingdom for taking a moral stand to vote against the resolution. While we are encouraged by the refusal of 26 other countries to join the minority of 22 countries who voted for the resolution, their unwillingness to act to prevent yet another unjustified abuse of UNESCO’s mandate further undermines the body’s standing and authority,” said Greenberg and Hoenlein. Jewish groups from around the world united to condemn the UNESCO resolution after it passed Tuesday, including the American Jewish Congress and the European Jewish Congress. Israeli leaders from across the political spectrum slammed the UNESCO vote as well. On Wednesday, Prime Minister Binyamin Netanyahu said he had instructed the Foreign Ministry to deduct $1 million from the funds that Israel transfers to the UN. “Israel will not sit by while the organization calls for the denial of our sovereignty in Jerusalem,” he stressed.